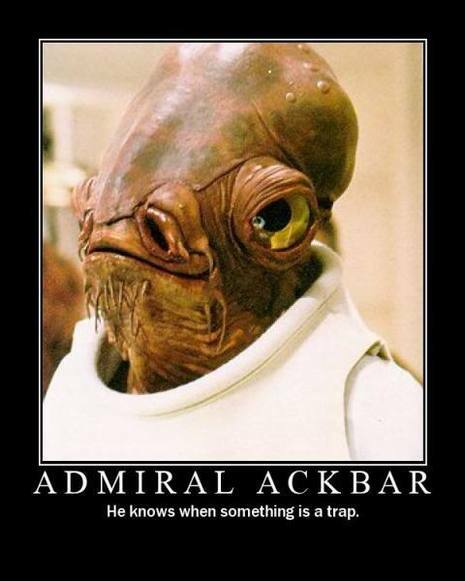 Admiral Ackbar (played by Timothy M. Rose) is a character in the Star Wars fictional universe. He first appears in Star Wars Episode VI: Return of the Jedi and later is a supporting character in the Star Wars Expanded Universe of novels, video games, and comic books. 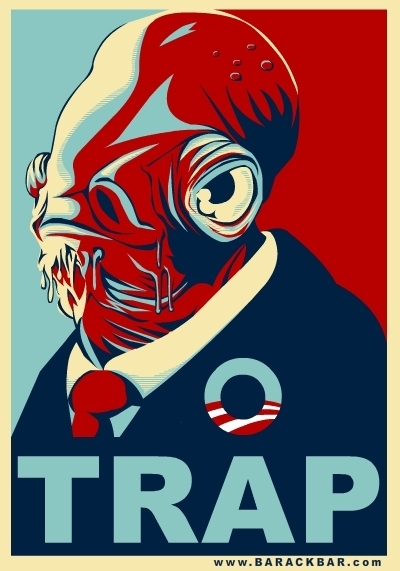 The line for which Admiral Ackbar is most known, "It's a trap! ", is often parodied, notably by the animated show Robot Chicken in their Star Wars special episode. 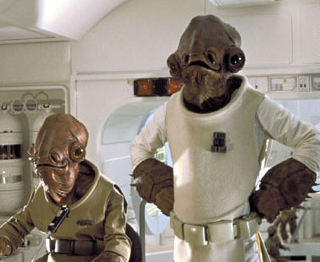 In an episode of The Big Bang Theory, Sheldon imitates Ackbar, repeating the line, "it's a trap! ".